For people who work in the design industry, a monitor calibration is indeed an essential tool. among those many colorimeter out there, Datacolor offer many good tool while still in an affordable range of price. If you are in need of a colorimeter, in this article we will introduce you two of Datacolor colorimeter, which are Spyder5PRO and Spyder5ELITE. 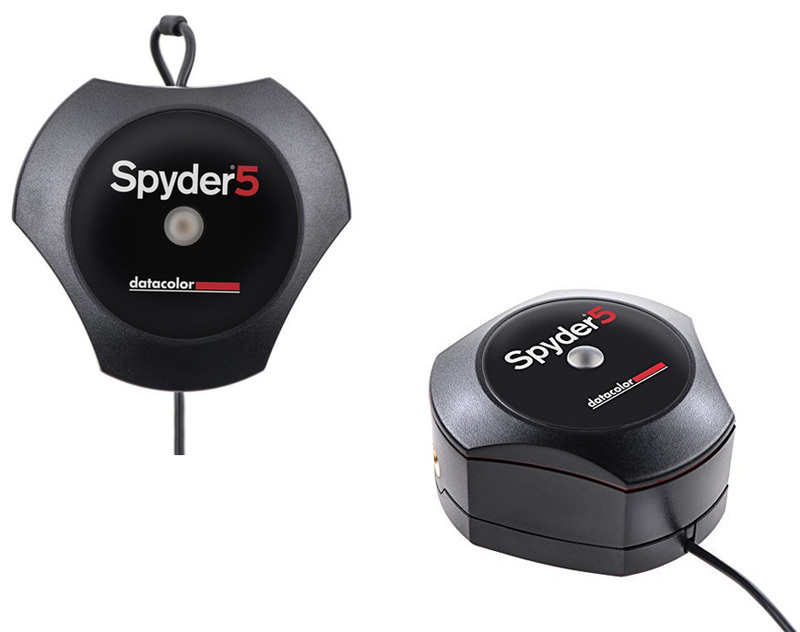 Spyder5pro is a Display Calibration System that was produced by Datacolor. This tool will help you maintain the consistency of your monitor since the post part until the delivery phase. The Spyder5PRO is designed to be used by serious or professional photographer and designers who are currently seeking a solution for a full featured and advanced color accuracy. You can use the tool to calibrate multiple screen at once, from desktop monitors to laptops. Comes with the tool, you can use the PRO software that has an advanced calibration features to set gamma, white point and gray balance, the PRO also allow you to choose between 16 choices of calibration settings. If you are interested in other similar tool, you can read our previous article here. To calibrate your screens, there are two parts of the system. One is the colorimeter sensor itself that you can plug into your computer with a USB port. When in use, you should hang the sensor over the top of the monitor and place it at the center of your screen. The second part is the software that you have to install in your computer. The Spyder5PRO software doesn’t come in a CD inside the package, so you have to download it from the Datacolor site, you also have to activate it using a serial number before you can use it. The software has an interactive help and will provide you with a calibration wizard. The Spyder5PRO colorimeter comes with 7-detector optical engine feature. The sensor is very compact and portable, it is also lightweight so you can hang it in the top of your screen without weighing your monitor down. The tool will require 5 minute in initial calibration time, while recalibration will take half of it. The Spyder5PRO will also re-calibrate your screen once in a month to keep your screen stay calibrated. You can have three ambient light setting, before and after evaluation, and basic analysis with the Spyder5PRO, so you can say that this is a powerful tool to have in your set up. The Spyder5Elite is another colorimeter by Datacolor. The package is minimalist, inside the box you can find the colorimeter tool, a card with a web address to download the software, a user manual on the internet and the last is sticker with the serial number that you can use for the software activation located at the bottom of the box. Before you throw out the box, make sure you write down the serial number. The appearance of the sensor is said to look like a hockey puck with three shallow curves carved into its side. To compare it from its predecessor, the Spyder5Elite has a few other upgrades to its predecessor, the tool includes and enhanced optical engine that will give you improved gamma response, it also has a smaller baffle to help reduce ambient light. Common complaint about the Spyder5Elite is that the cable is too short, especially if you place your PC on the floor under the desk. Taken from pcmag, the software contains a wizard that will show you through each of the step of calibration and also offer you help along the process. When first opening the software you will also given a choice to choose between the studio match option, which will help you achieve consistency in all of your screens, if you use more than one and the other is expert control, which will provide manual control over things, such as luminance, values, gray balance and white-point settings. The software will need around 5 minutes to do the calibration and the process will begin with selecting your display type, such as desktop, laptop or projector. After that, you are asked to enter the manufacturer and model number and if the monitor has brightness control and White point presets. However the Spyder5Elite does not automatically adjust the brightness of your screen, so you have to do it manually. Comparing between the two of them, you can notice that Spyder5Elite is pricier than the Spyder5PRO. The Spyder5Elite able to offer you a higher level of control to ensure you will have the most accurate monitor color. This tool gives you unlimited settings for gamma, white point and advanced great balancing to optimize your workflow. While the Spyder5PRO only adapt to your display based on room brightness in 3 ambient levels, the Spyder5Elite is able up to 5 ambient lights. - Expert color accuracy solution for monitors and projectors - See, share and print your images just as you intended with confidence. If you are a professional or work in the design industry, in our opinion it is good to opt for the Spyder5Elite. Because if your business is reliant on the quality of design, the color accuracy is very important. The Spyder5Elite will assist you with everything you need when calibrating your screen.